The European and Pacific Theaters of World War II | AMERICAN HISTORY RULES! ← What story do we need to know from America in WWII? I/we can explain the major turning points of the war and contrast military campaigns in the European and Pacific theaters. I/we can summarize the essential information and impact of a historical event. I/we can geographically present the flow of World War II. The National Content Standards of American History identify that all US history students should be able to explain the major turning points of World War II – so that’s what I am expecting from my young historians! Over the next week, we will see the progression of the war (and experience a very important part of the conflict in Europe). Your major task is to create some sort of map that not only locates each of the major turning points, but also offers essential information about the event. For each location listed, you should have a proper location on your map, a title, a date, and a brief overview of the event and its impact. 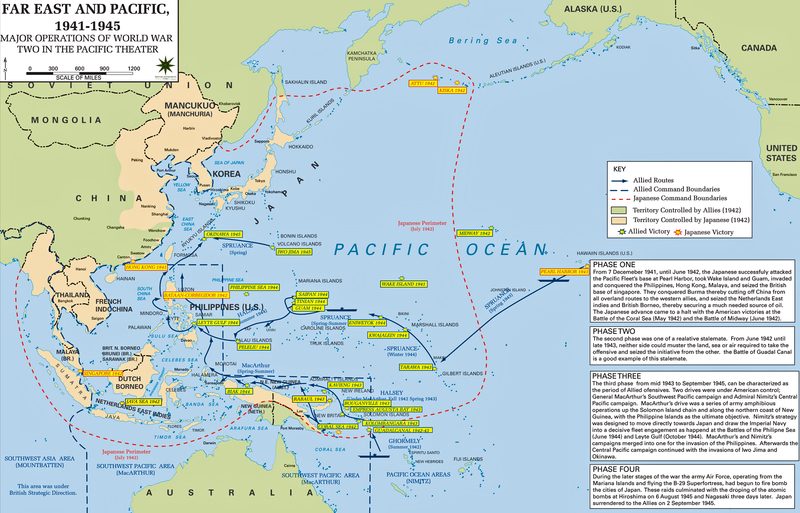 For an example take a look at my map with Pearl Harbor. My description is probably a little more detailed, with a quote, an image, and a resource or two. Those options are up to you – whatever it takes to hit the target. You will have a map on your test,! To add to your maps, you can use this great animated overview of the war in Europe. You can also consult World War II in Europe from the United States Holocaust Memorial Museum, World War II from PBS, and another awesome interactive map. Another overview map may be helpful as well. Stalingrad – video from the History Channel, reading from the History Channel and History Learning Site – and how about a Stalingrad game from FOG?